While it was long believed and advertised that when you choose a Mac you can forget about your security being at risk. 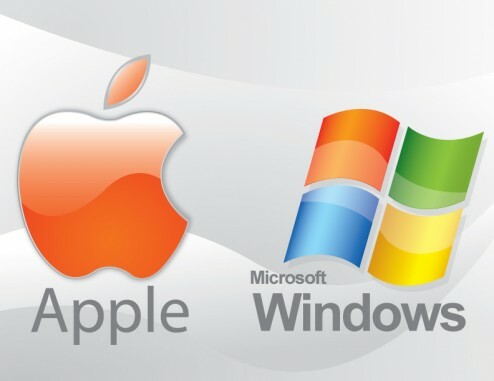 The founder of Kaspersky, one of the largest anti-virus firm has debunked this by proving Microsoft is more secure then Apple. The founder and CEO of Kaspersky Labs spoke with Computer Business Review (CBR) about Apple’s slow progress in security at this week’s Infosecurity 2012 event in London. The malware about which Kaspersky speaks, the Flashback trojan, struck more than 600,000 Mac devices early this month and prompted Apple to release three separate Java updates to patch vulnerabilities in the software and prevent more security problems. While Apple has been slow to respond to new security concerns, CNET reports that Apple is making moves to boost the security on its devices. For example, XProtect, a built-in malware scanner, came with the last two major versions of Mac OS X. And security technology called Gatekeeper will be built into OS X Moutain Lion and will let the user to install only software designed by registered developers. But with malware like the Flashback and Sabpab trojans still making their rounds, and wth recent studies showing just how vulnerable Apple devices are, Mac users might do well to heed Kaspersky’s words of warning. As he told CBR, more Macs (last quarter saw 4 million sold, a 7% increase from last year) will only mean more problems. What do you think of what Kaspersky had to say? Do you agree or disagree? Let us know in the comments! Previous: UFO spotted orbitting the Sun!